Hot or cold, use heavy, fire-resistant oven gloves when handling the block. Place the block on a ceramic trivet to ensure the block doesn’t damage any surfaces. Salt blocks require tempering on the stove on first use. Tempering is the slow, even heating of the block in 15-20 minute increments, starting around 100-125oC, by 25-50oC each time, and up to 200-300oC, for anywhere between 2 and 3 hours for the whole process. This is due to the thermal expansion of the block and to help remove any residual moisture. This will ensure the blocks longevity and integrity. Preheat the block slowly and evenly for around 15 minutes to evaporate any moisture, on your stove using the lowest possible setting. Similar to the first tempering process, use the principle of increasing the heat in 15 minute stages until the desired temperature is reached. You can use the block in the oven although we recommend pre-heating beforehand on the stove for the very first 15 minutes. The oven will ensure an even heating throughout the full block. Starting temperatures can range from 100-150oC. Follow the same procedure above, until it is fully heated around 200-300oC. 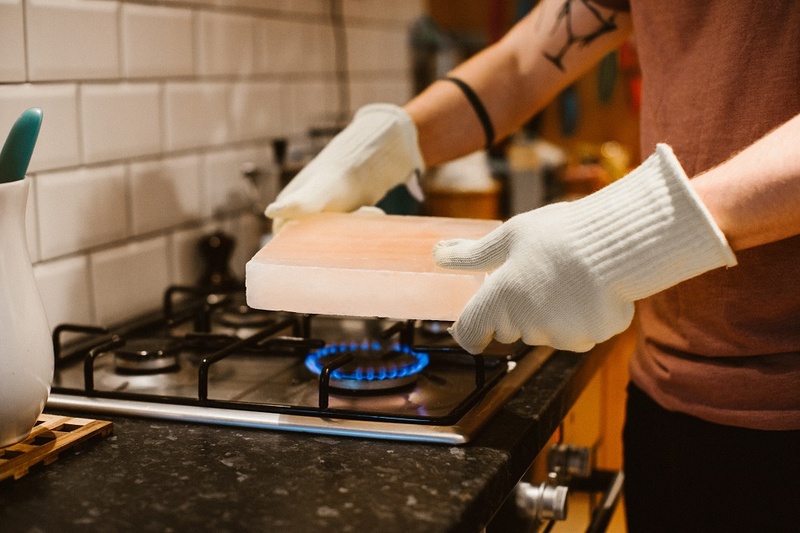 The salt block can also be used on the BBQ and again we recommend an initial heating period on a stove before transferring over to finish the process. Salt blocks can be heated on any type of hob. For electric, ceramic, halogen and induction hobs we recommend utilising a purposely designed heat diffuser to protect the hob from damage during the thermal expansion of the block. They can be preheated on the stove and then transferred to the oven or BBQ if desired, depending on how you plan on using the block. Cool in the refrigerator or freezer for around two hours before serving – this is ideal for curing foods. After cooking at heat, allow the block to cool fully (2-3 hours). Ensure the block is at room temperature. Moisten the salt block by wiping it with a wet sponge then with a brush, scrub vigorously at any areas where food has stuck. Do not use soap. Pat dry with a towel. Allow to sit and evaporate any remaining moisture for a short period. NOTE: No block will return to its original state, it will turn an opaque pink colour. 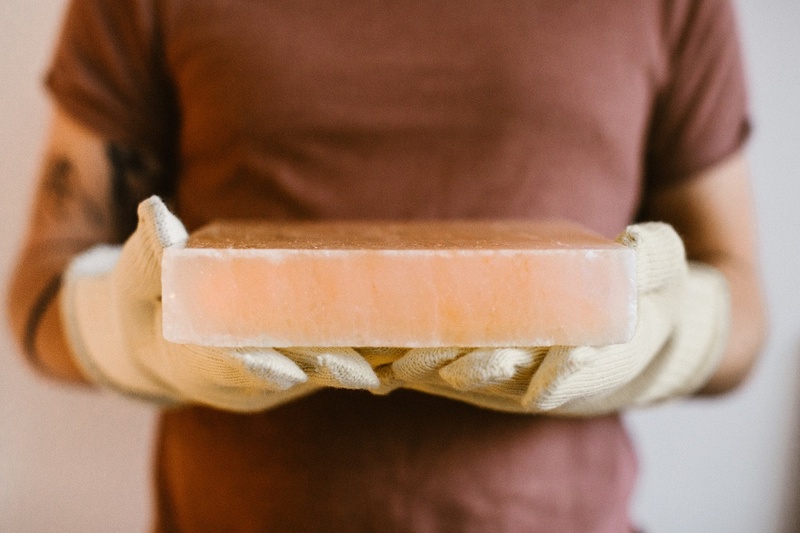 Excessive cleaning will shorten the life of a salt block. Salt blocks attract moisture so store your salt block in a cool, dry, place. Carefully maintain your salt block to extend its life, but eventually it will crumble away or break. When this happens you can use the remaining pieces to continue serving if large enough, or grate and use as seasoning.